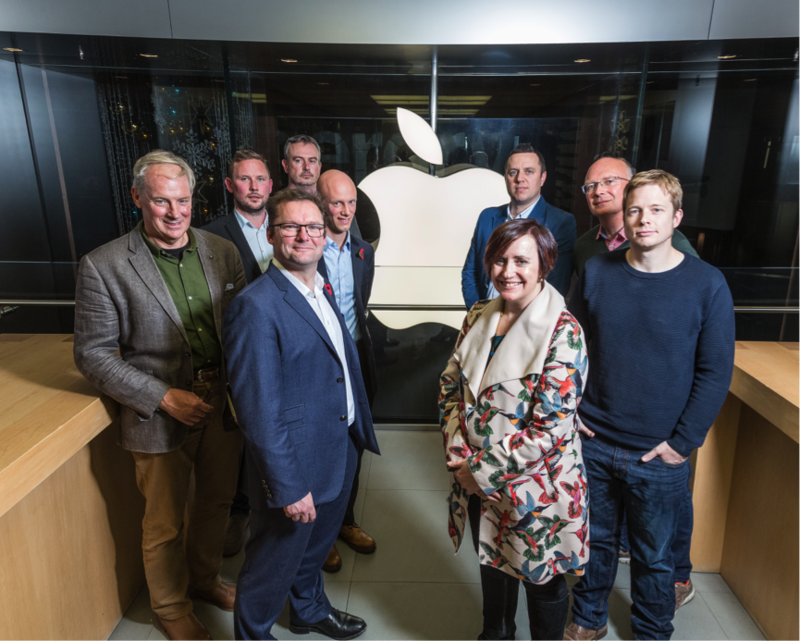 Apple has been helping leading university business incubator, SETsquared, to showcase some of the most promising upcoming tech start-ups from Exeter, Bristol and Southampton. SETsquared, the enterprise partnership between the universities of Bath, Bristol, Exeter, Southampton and Surrey, brought five of its most disruptive and cutting-edge technology start-ups to Apple Princesshay in Exeter yesterday (9 November) to pitch to a select audience of investors and mentors. The pitching event saw start-ups who are developing technologies for industries ranging from oil and gas, to logistics, and helping adults with learning disabilities, delivering five-minute presentations. The audience and Apple staff provided feedback and guidance to the entrepreneurs, helping them on the road to investment success. The sessions will help prepare the start-ups as they get ready to pitch to more than 150 investors at this year’s Accelerating Growth Investment Showcase, to be held in Central London by SETsquared next month. Simon Bond, Innovation Director at SETsquared, said: “We’re delighted that Apple is hosting these exclusive pitching sessions. During the session, event sponsors Office Pantry and Frobishers supplied refreshments. Office Pantry is a SETsquared company based in Bristol that provides offices with healthy snacks, fruit and coffee, while Exeter-based Frobishers creates a wide range of fruit juices, soft drinks and smoothies.